Mr. Dell was born on November 6, 1915 in Holidaysburg, PA and George spent several years during the Great Depression as a Hobo riding trains across the country and working various jobs along the way. It was from these experiences that he would later find his great talent as an accomplished artist drawing with both pen and pencil. Many of these drawings still hang in various offices and shops throughout our area. 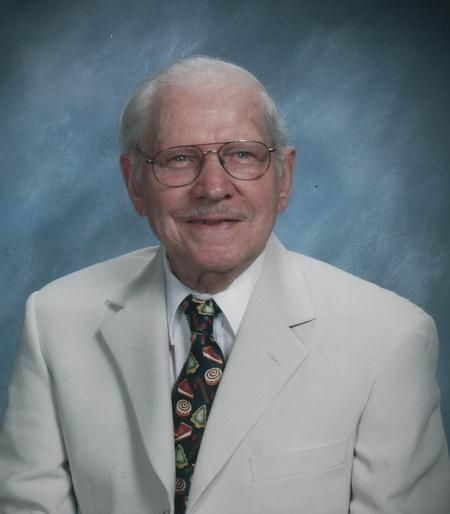 A decorated Veteran of the United States Army, George served as an Artillery Observer with the 915 Field Artillery Battalion of the 3rd Army in the European Theater during World War II. He participated in campaigns in the Ardennes, Central Europe, Normandy, Northern France and the Rhineland and was wounded twice making him a recipient of two Purple Heart Medals. He also would receive a Bronze Star Medal, the European-African-Middle Eastern Service Medal, the Good Conduct Medal, and the World War II Victory Medal. George was always proud of his service to Our Country and was a longtime member of the Disabled American Veterans and the Veterans of Foreign Wars Post #6233 in West Middlesex, PA. Following his discharge from the Army he went on to work for Ralston Purina Feed Mill in Wilmington, Delaware as a foreman for over eighteen years before his retirement in 1968. He was a former officer of the Buhl Model Train Society and a longtime member of Sharon First United Methodist Church.